Most Americans believe corporations, the military and wealthy people will gain influence in Washington, DC once President-elect Donald Trump assumes office, according to a new poll. Environmentalists and Hispanics are among those seen losing clout. The pool of influencers in the nation’s capital will soon shrink, according to views reflected in a Pew Research Center poll published Wednesday. “Usually, when there is a new president, certain groups gain influence in Washington, while other groups lose influence,” Pew pollsters told 1,502 US adults between January 4 and 9, before asking about specific groups and whether they would gain or lose influence or not be affected under a Trump administration. Sixty percent of those polled said environmentalists would hold less sway in DC, and nearly as many said the same about another four groups. Hispanics will have less pull, according to 56 percent of poll responders, while 55 percent said the same of poor people. Both union leaders and gays and lesbians were predicted to lose influence by 54 percent. Americans were most divided on the question of influence when the groups were DC lobbyists, older people and children. Thirty-six percent saw DC lobbyist influence being boosted, as opposed to 37 percent who said lobby pressure would wane. Older people would gain, 27 percent said, but 35 percent believed they were losing power. Children will acquire more, 24 percent said, however, 32 percent said the opposite. Only 27 percent said younger people wouldn’t be affected, with 40 percent saying their voice would diminish in DC, versus 30 percent who said they would be listened to more. Just 19 percent said the poor would not be affected either way, and a measly 14 percent saw corporations the same way. But what happens when the group is you? Perhaps most interestingly, when asked about the direction of influence for “people like yourself,” the Pew poll found a near flip of views from 2017 compared to 2001, when it was George W. Bush becoming a new president. Under a President Trump, 27 percent of those polled said they would gain, with 40 percent saying they’d lose. Under Bush, 35 percent said gain, while 26 percent said lose. Republican, Republican-leaning, Democratic and Democratic-leaning participants all mostly agreed when asked about conservative Christians and corporations. Ten percent of Republican-types and 17 percent of Democratic-types said conservative Christians would lose. But 52 percent of Republican-types and 55 percent of Democrat-types said that group would gain. 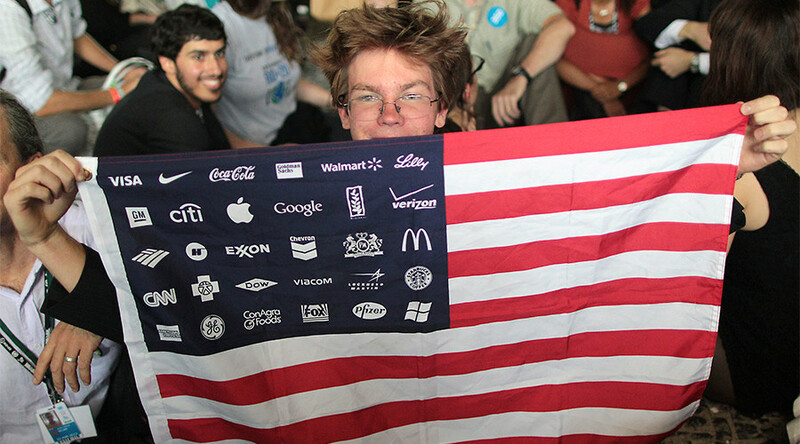 Corporations are set to lose, according to 10 percent of the Republican category and 9 percent in the Democratic camp. There was a 10 percent spread on whether they would gain, with 70 percent of Republicans and leaners saying so, versus 80 percent of Democrats and Democrat-leaners. Participants from all 50 states as well as the District of Columbia were included, Pew’s report said. Three-hundred-seventy-six were interviewed on a landline and 1,126 on a cell phone.